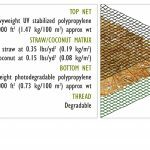 C-125 includes a layer of 100% coconut fiber stitched with UV stabilized polypropylene thread between two UV stabilized polypropylene nettings. 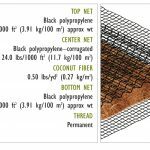 This product is designed to provide up to 36 months of temporary protections slopes exceeding 1:1 and in high-flow channels. C-125 is often used in side slopes, steep embankments, drainage channels and other areas where long-term protection is needed. 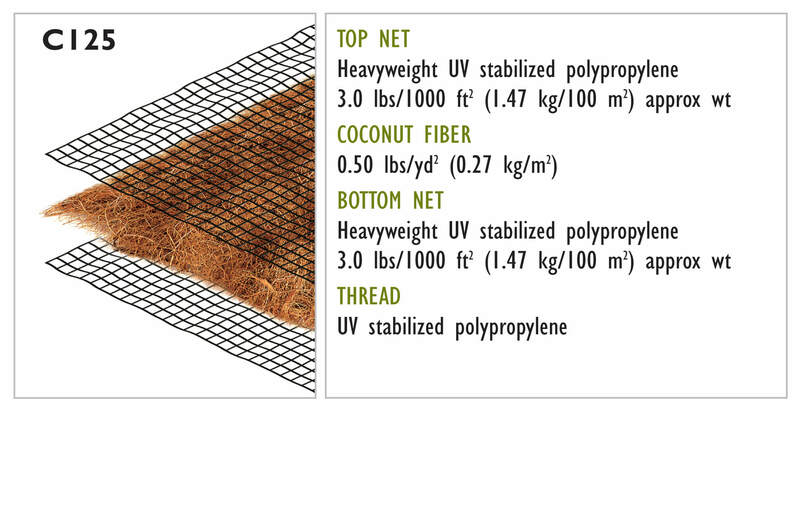 The combination of the slow degrading coconut fiber and the two UV stabilized nettings helps make the C-125 our highest performing and longest lasting temporary erosion control blanket.